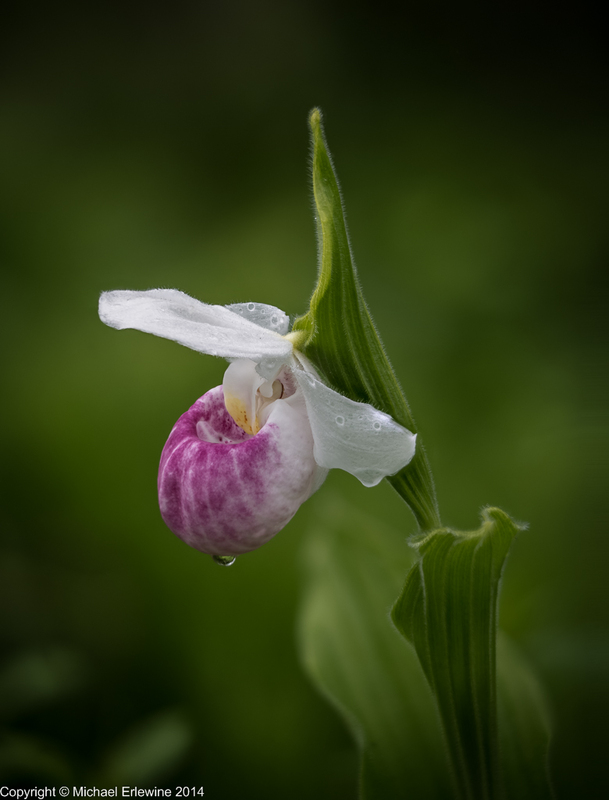 This photo, taken yesterday, is of Michigan's "Showy Orchid," now in full bloom. A patch of these endangered flowers survive in a tiny microclimate not far from the town I live in, nestled in moisture at the edge of a stream. And there I find myself, crawling through the grass, soaked to the knees, with clouds of mosquitoes around my head. Photography is one way I get my mind right and I need that right now. Although there have not been more than the three X-Class solar flares, the sun peppered us yesterday with at least fifteen "M" and "C"-Class flares, and continues with more (so far) today. My nose is still out-of-joint from those initial three X-Class flares and I have to admit struggling to feel normal again, not the best sign. My self definitely got knocked out of its comfortable little orbit and I find that I am, as they say, "beside myself," so to speak, which is never much fun. With these kind of flare experiences, the temptation is to want to return to whatever vague memory I have of how I was before the onset of the flares. That is always a big mistake and just perpetuates the dichotomy of before and after, a bridge that I will never be able to cross. Of course I know this intellectually, but that and a bus ticket will get me a ride. The reality is that, as the Tibetan lamas point out, prolonging the past is beside the point and never the point. Instead, I have to rest (once again) in the present, just as it is, just as I am feeling (good, bad, or indifferent), not how I would "like" to feel. I will never find myself in the past or in the future, but only right here, in all my uncomfortableness. This is the place to start. I know that, but doing it is not that easy. Out there in the early morning, staring through a lens at what you see here…. helps.